China’s traditional industries are suffering. In the last five years, the country’s north-eastern region – once a hub of basic industries like oil and steel – has been facing accelerating decline, as have the rich mineral resource centres in places like Hebei and Inner Mongolia. Over the last decade, about one third of China’s 600 cities have contracted. The prospects of dispersed rural populations far away from China’s megacities have diminished as well. But all this bad news is actually a result of what is widely considered very good news: China’s economic transformation is progressing. In recent years, China’s economy has become increasingly reliant on new hi-tech and modern service industries, including mobile internet, artificial intelligence, smart cars, drones, robots, virtual reality, wearable device manufacturing, green technology and more. Meanwhile, jobs and growth have become increasingly concentrated in some high-productivity megacities, making them magnets for skilled labour and venture capital – and leaving hubs of traditional industries in the dust. The rapid growth in China’s hi-tech industries was thrown into sharp relief in January 2018 at the annual Consumer Electronics Show in Las Vegas, where Chinese firms accounted for 40 percent of all exhibitors – a figure that would have been unthinkable just five years ago. Many of those firms are from Shenzhen, China’s first special economic zone and now the country’s most innovative city. But Shenzhen is not alone. Several other Chinese cities – for example, Beijing, Shanghai, Guangzhou, Chengdu and Xi’an – are also working to foster cutting-edge industries. In fact, these cities’ competition to generate stronger growth than their counterparts – a contest sustained by the political incentives the central government has long provided to local officials – has played a driving role in China’s rapid industrialisation and ongoing structural transformation. In the short term, it is difficult to assess precisely the role of inter-urban competition in promoting the development of China’s hi-tech industries, though there are undoubtedly some negative effects. But, in the long term, the outcomes of such horizontal competition are generally positive, owing to the incentives it creates for local government officials to think creatively, experiment effectively and pursue forward-looking policies. Indeed, studies carried out by economists, including me, have shown that competition among local governments made a major contribution to the rapid industrialisation that China experienced in the 1990s. A key reason for this is that land – which plays an important role in early industrialisation – is owned and managed largely by local governments in China. So Chinese county governments used land as leverage in order to attract foreign direct investment, particularly in the Pearl River Delta and the Yangtze River Delta in the 1980s and 1990s. Over the last decade, such regional competition has persisted, but has increasingly been led by major cities. Rising wages and sharply declining returns to capital in traditional industrial sectors have underscored the need to accelerate modernisation – an imperative that has been reflected consistently in the central government’s reform strategies. So China’s major cities have been fostering innovative and hi-tech industries and modern services in the new economy. One of China’s premier megacities has long been Shanghai. But, in recent years, Shenzhen has become a tech hub, and Hangzhou, where e-commerce giant Alibaba is based, is a rising star in the digital economy. Shenzhen’s GDP reached some CNY 2.2trn ($343bn) in 2017, higher than that of Hong Kong and Guangzhou, and surpassed only by Shanghai and Beijing. 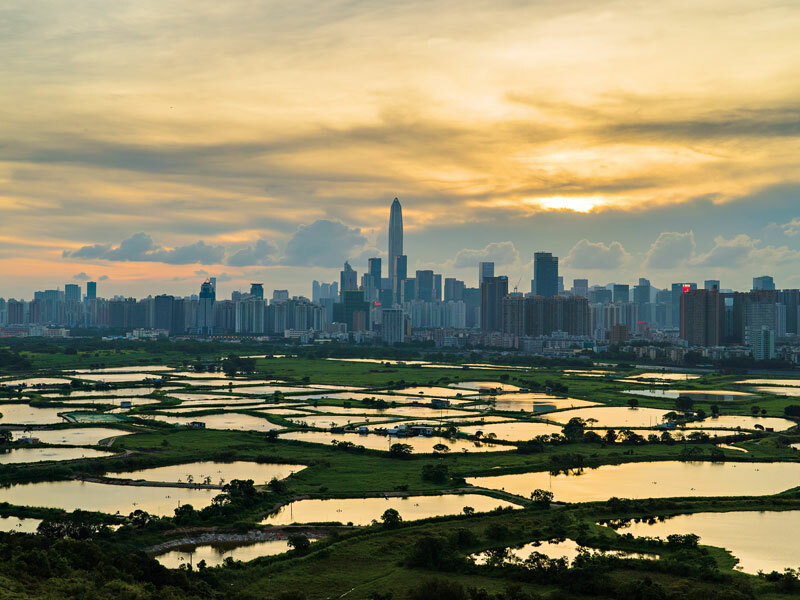 Now, officials in Shanghai and Guangzhou (the capital of Guangdong province, where Shenzhen is located) have added motivation to pursue new growth and productivity-enhancing policies, including upgraded initiatives to attract entrepreneurship and human capital. China’s major cities have created and implemented policy packages aimed at supporting innovative start-ups, as well as a series of measures to attract talent, including individual tax incentives, home-purchase subsidies and attractive healthcare and education benefits. The leaders of several big cities, including Shanghai, have lately called for a stronger commitment to such policies to be incorporated into broader efforts to improve the local business environment. Such comprehensive strategies have further enhanced the role of China’s major cities in advancing structural change, and contributed to major shifts in the sources of economic dynamism in China. Of course, such competition carries risks – in particular, short-sighted efforts to boost growth in ways that exacerbate misallocation of resources, overcapacity and high financial leverage. But Beijing’s government, for one, is attempting to mitigate these risks by shifting its focus from encouraging the highest possible growth rate to ensuring higher-quality growth. 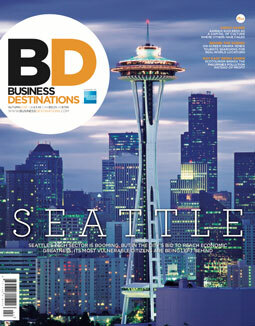 In most cases, such sustainable growth will arise from major cities’ pursuit of hi-tech and modern service industries. China’s cities remain vital sources of economic growth for the country. While some will undoubtedly struggle, others will serve as critical engines of China’s economic transformation, fuelling dynamism across the entire global economy.